FSG, defining itself as social impact consultants, is a non profit consulting firm specializing in strategy, evaluation, and research. 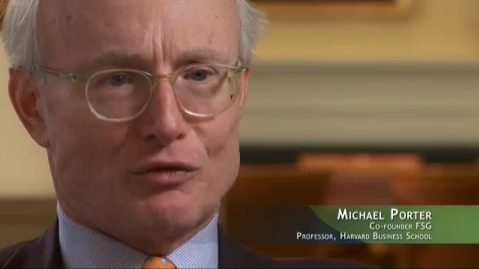 Having Michael Porter (from Porter’s five forces analysis) in its board of direction, it is not a surprise they released an introductory video about his idea of the moment: creating shared value. IMHO there are two things that annoy me in this idea. First, there is a lot about ecology, about how companies reduced their waste footprint, how they (help) reduce energy consumption, etc. I know that the earth is facing huge ecological issues but I don’t think it’s necessary to create new words for the same ideas. Then, I would like to see more example about cluster development. Not only read more example in current practise. But also see more companies applying this idea of cluster development. A company can easily act in order to get more reliable and more “sustainable” suppliers (again new words for a new idea?). Do you know examples of companies that successfully acted to get a functioning infrastructure of roads and telecommunications or to get an effective and predictable legal system and at the same time created value for itself? There is an example about Yara improving ports and roads in Mozambique and Tanzania to help delivery its fertilizers and agricultural products. Are public–private partnership some kind of cluster development too? Although done since many years, are private investments in public universities now also considered as cluster development? The discussion at the end of the HBR article is also worth reading. Fourth set of results in! 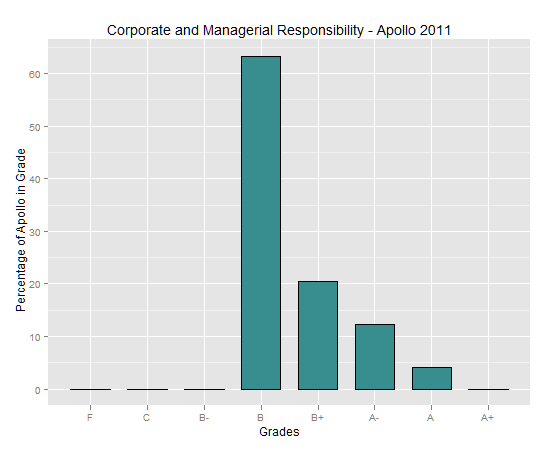 The results for Corporate and Managerial Responsibility (the course with the 2 graphs made more readable and the amoeba) are in! This time, together with others, I spent quite some time on these papers and we thought we found interesting issues and metrics (it was a group paper on SWIFT + a personal one, a recommendation following the first paper). So I’m a bit surprised of my result: a B. Maybe I shouldn’t: at least 3 other group members have the same result (i.e. it’s maybe not related to the personal paper) and more than 60% of the class has a B. But having a B means being part of the worst students in the class (aaah: illusory superiority – look for “MBA” in the previous link ;) ). We’ll have to wait for the next session (i.e. January 13th, 2012) to receive feedback! Since the beginning I was eager to attend a course where the professor would talk about something biological. And we finally had such a class today! It was about the amoeba in Prof. Dr. Nigel Roome‘s first class on Corporate and managerial responsibility. 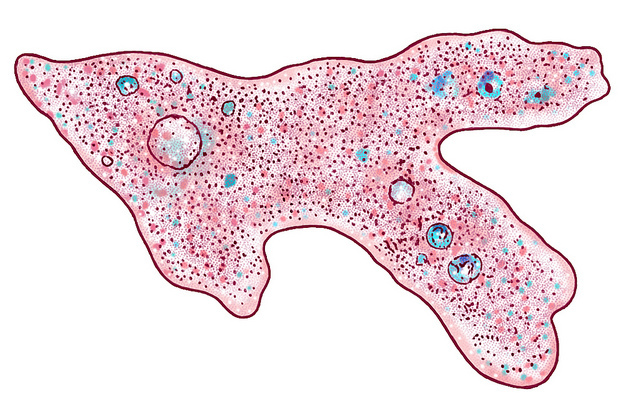 There, corporate responsibility is somehow embedded in a pressure-state-response framework which actually is a model representation of the interaction an amoeba has with its environment.